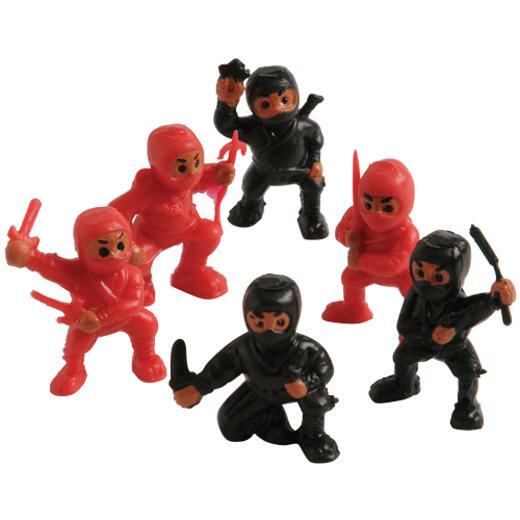 Get ready to do battle with these mini ninja figures. A great addition to pretend play, kids will practice their martial arts skills with the help of these fierce little guys. A great party favor giveaway for a ninja inspired party. L: 5.95 in. W: 0.85 in. H: 5.25 in.